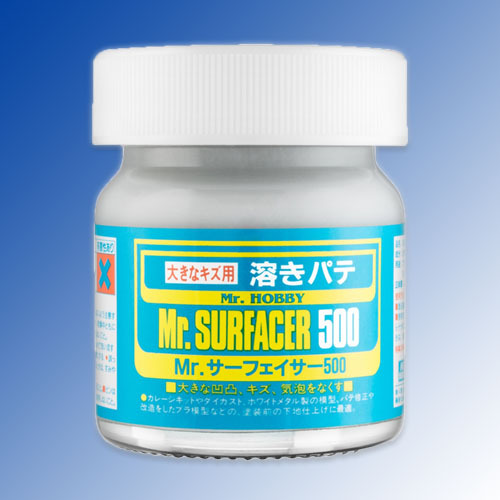 Lacquer based Mr. Surfacer 500 is the best for filling small holes, imperfections, creating surface texture and filling gaps. Mr. Surfacer 500 should be on every modeler's workbench. Can be diluted with either Mr Thinner or Mr Levelling Thinner. Dries quickly and can be sanded and polished once dry. Can be applied in multiple layers as needed for that perfect finish.